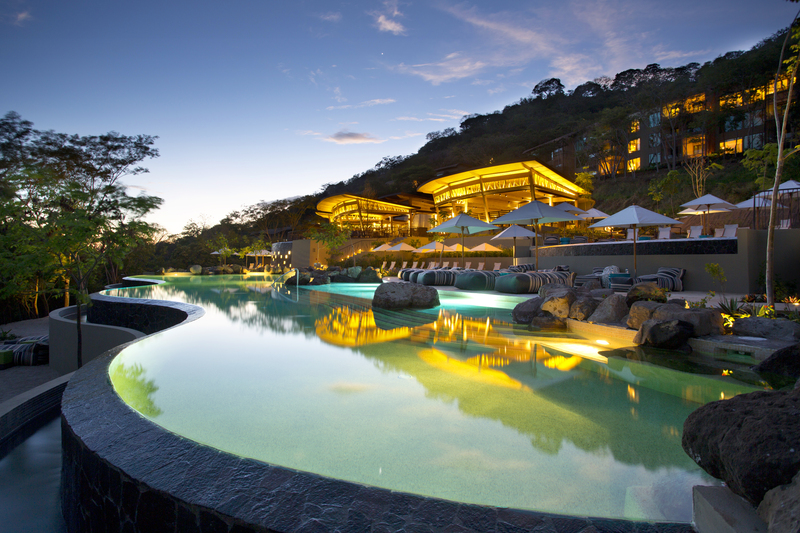 Family pool at the Papagayo Andaz resort in Costa Rica. 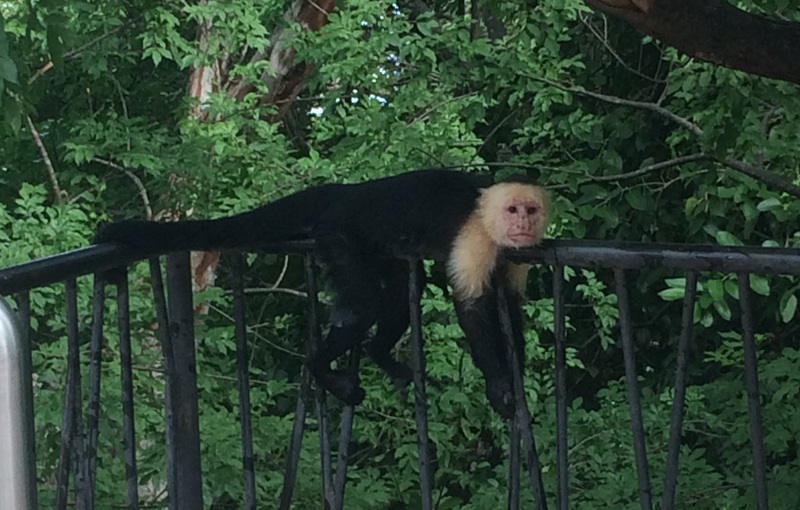 Capuchin monkey relaxing at the Andaz Peninsula Papagayo Resort. 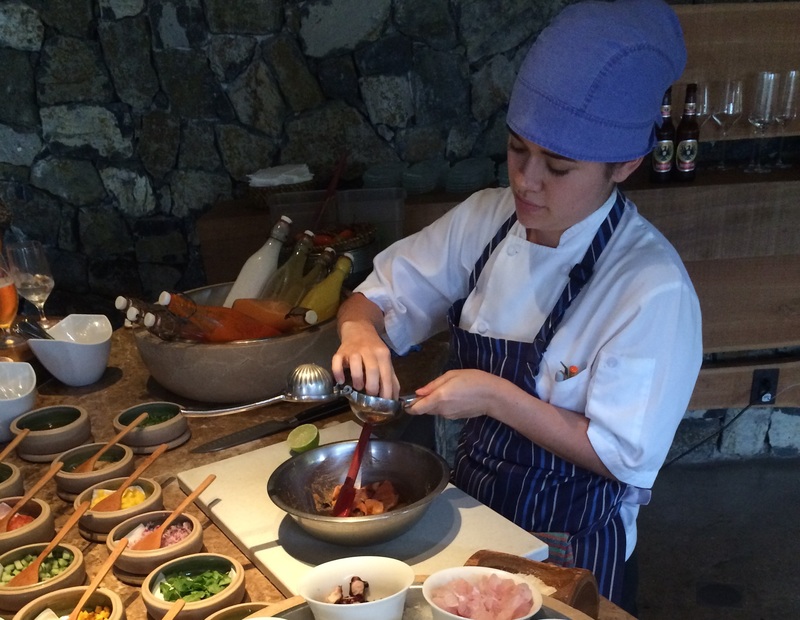 Fresh ceviche being prepared at the Andaz Peninsula Papagayo Resort. 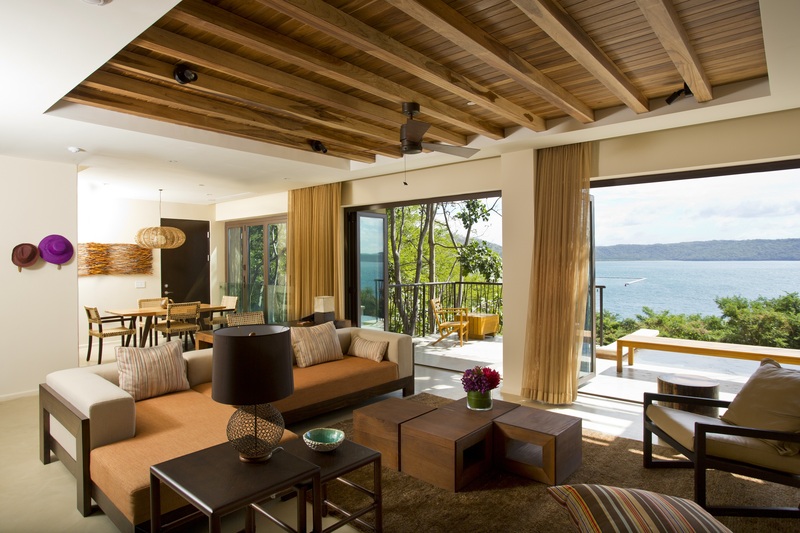 Family Suite at Andaz Peninsula Papagayo Resort. 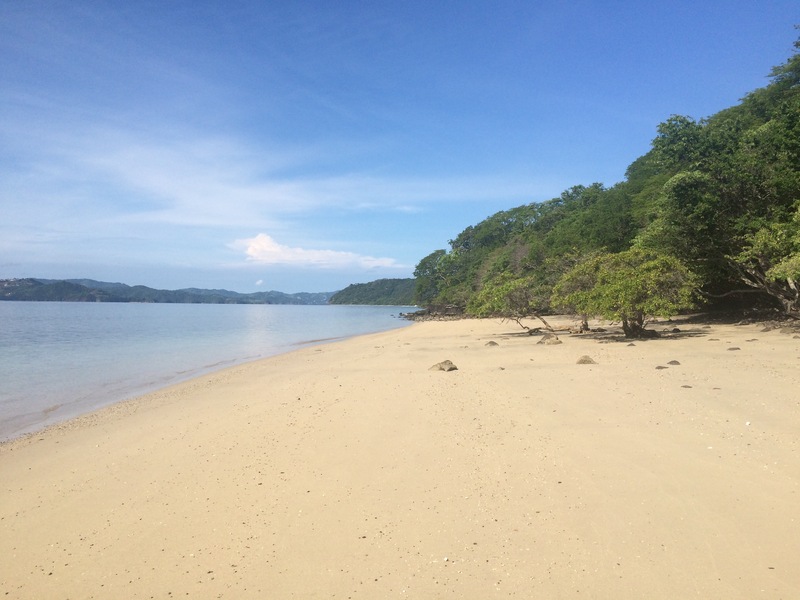 Beautiful beaches at the Andaz Peninsula Papagayo Resort. 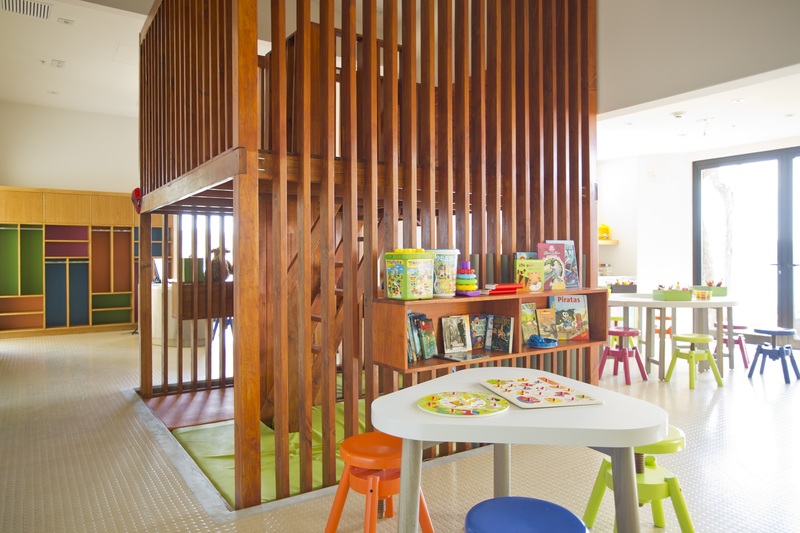 The CAMBI childrens center at Andaz resort in Costa Rica. 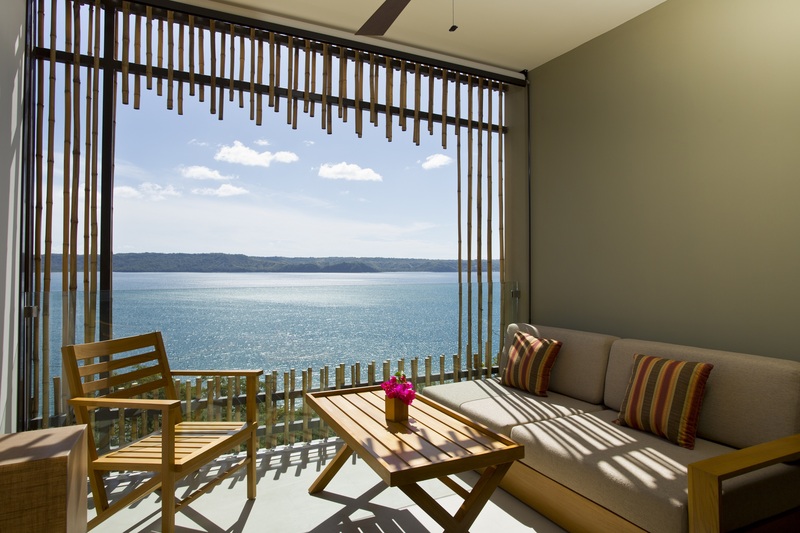 Balcony view at the Andaz Peninsula Papagayo Resort. 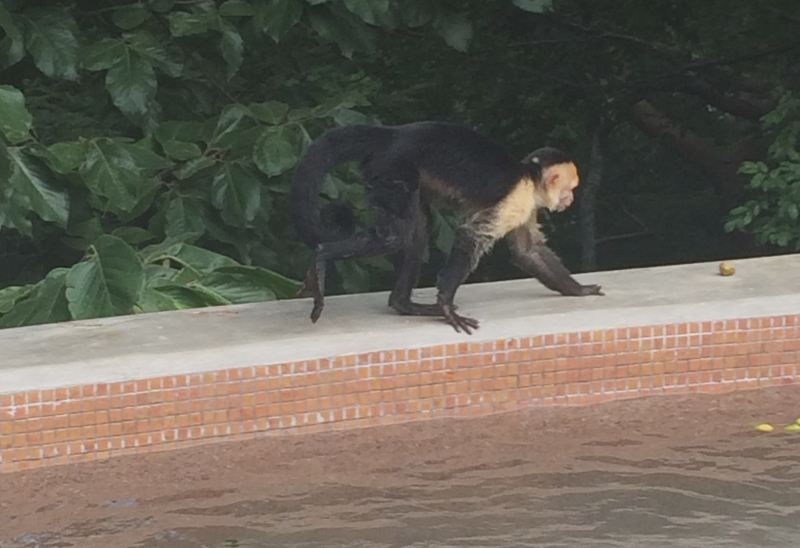 Monkey by the pool at the Andaz Peninsula Papagayo Resort. The outdoor treatment room at the Onda Spa. 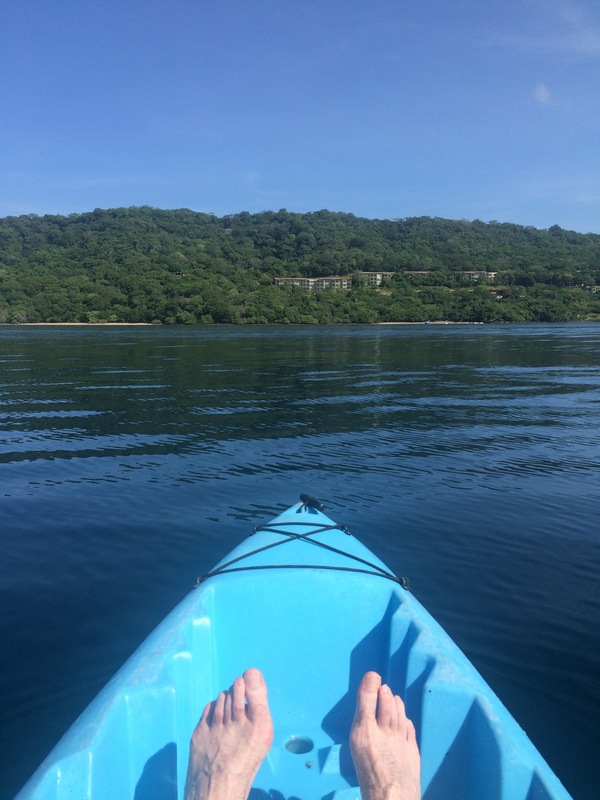 We were told about the monkeys when we checked into to the Hyatt’s Andaz Peninsula Papagayo Resort, a delightful, all natural spot nestled on Culebra Bay on the Pacific Coast of Costa Rica. There were two types in evidence — the capuchins and howler monkeys — and, instead of being alarmed to hear the latter earning their name at night, it was suggested we might become friends. It was well we were warned, for the very first morning I awoke to their formidable calls, and this city boy would have suspected a lurking pack of wolves had I not known better. Exploring the complex that morning, I was delighted to find the howlers cavorting in the trees overhead, a lively bunch completely devoted to chasing one another and not the least threatening to the human interlopers. My new friends. But it was the capuchins, who emerged later in the day with less fanfare, that truly won our hearts. Utterly at home at the Andaz, they frolicked about the place as though they owned it, dropping from trees to lounge by the pool. Gazing at us with a disarming cool, my monkey let us approach slowly until we were within a few feet before fleeing up the nearest tree. We learned to keep a respectful distance in order to keep their company. The resort itself, landscaped into a terraced hillside by the Costa Rican architect Ronald Zürcher in 2013, is a delicate blend of nature and tourist comfort, and nothing expresses this fusion better than the easy presence of our newfound primate friends whose natural habitat sat in the Andaz’s lap of luxury. No trip to the zoo could ever compare with this unforgettably close encounter with the capuchins. We retreated from nature into gracious and spacious solid-wood suites. Each of the Andaz’s 153 rooms boasts luxurious beds and soothing rain showers, as well as motion-sensing lights and intuitive air-conditioning systems that adapt to the merest opening of a door. 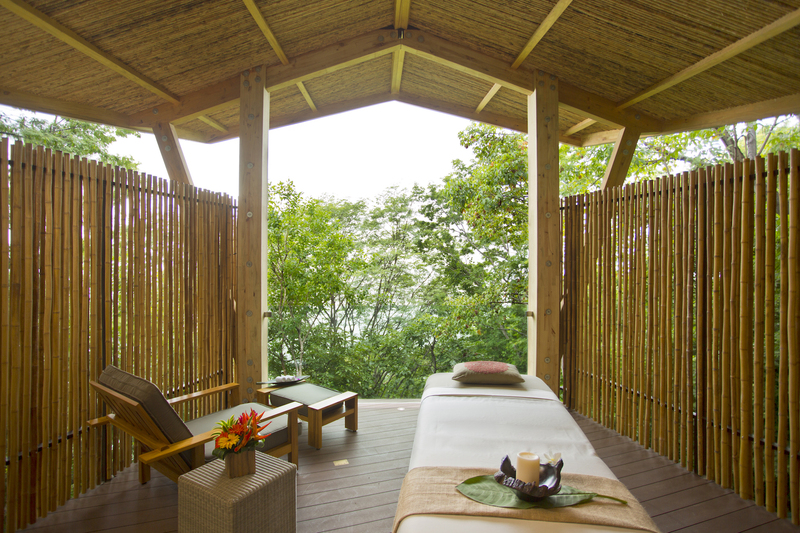 Pura Vida — literally “pure life” — is the motto of the resort, and its promise of ease and relaxation is readily apparent in every chamber. It also came continually to mind when sampling the Andaz’s three diverse restaurants: the open-air Rio BHongo, offering sumptuous breakfasts highlighted by a profusion of fresh fruit and gallo pinto, a hearty Costa Rican rice-and-beans dish; the casual bar-restaurant Chao Pescao, serving Latin American fare and myriad innovative cocktails; and the classy Ostra, specializing in opulent seafood dishes and offering guests delectable classes in ceviche making. Further pampering was available at the Onda Spa, where a variety of treatments were on offer in nine tastefully appointed treatment rooms. I can attest to the meditative serenity of the volcanic hot stone massage. Pura vida indeed. Children will be decidedly more excited by the state-of-the-art CAMBI Center. Tailored to ages 4-12, it offers complimentary sessions from 8am-noon and 1pm-5pm. Under the enthusiastic guidance of Cisny Guerrero and Yorleny Rueda, children make the acquaintance of the Nomellamos, delightful stuffed animals made locally from recycled materials, and take part in a variety of activities, such as rock painting, making puppets and indigenous vases known as chorotegas, and learning about Costa Rican wildlife. More familiar pastimes like video games, storytelling, and scavenger hunts are also available. The family pool is nearby, while placid Culebra Bay is terrific for kayaking as well as other watersports. Those seeking adventure further afield can visit Borinquen Mountain Resort, about an hour’s drive away (trips can be arranged by the hotel for around $185 per person) in the Rincón de la Vieja Volcano National Park. With the volcano itself looming nearby, children and adults can enjoy horseback riding and a zipline that glides over an impressive waterfall, cooling off at the end in a mudbath. Okay, I confess to chickening out after the initial “practice” on the 12-stage zipline course. I can only plead vertigo. However, when we returned to the Andaz, I was relieved to discover the capuchins were just as accepting as ever. They didn’t judge me — perhaps each person’s pura vida is tailored to their own constitution. I hope to see them again. For more information about the Andaz Peninsula Papagayo resort, conveniently located a half hour drive from Liberia Airport, and for current rates that always include WiFi, local phone calls, in-room snacks and non-alcoholic beverages, please visit the Andaz Peninsula Papagayo Resort site.